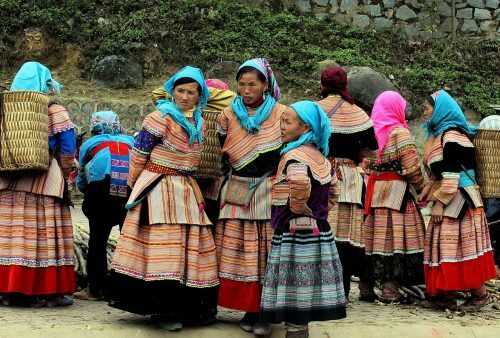 ‘South of the Clouds- -a 16-day northern Vietnam and China tour. 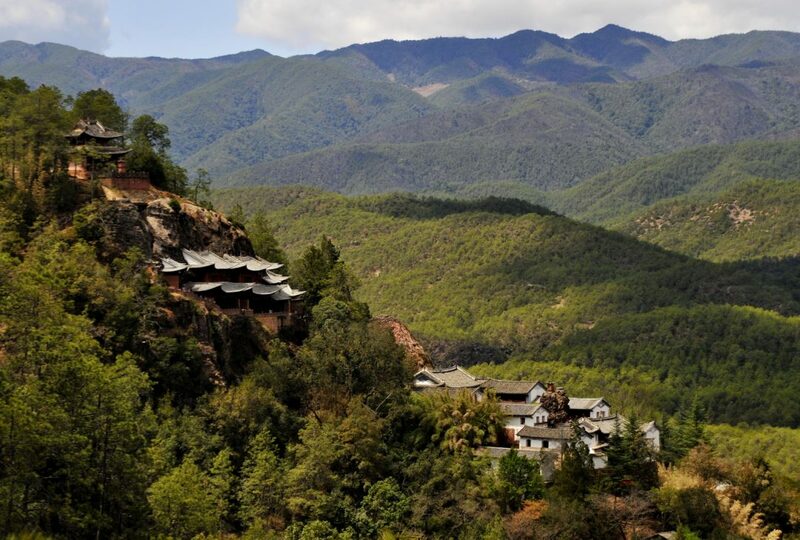 When a Yunnanese Prince crossed the cloud-covered mountains of Sichuan to travel to the imperial Chinese court, he informed the Emperor that his Kingdom lay to the ‘south of the clouds’ and the Mandarin translation – Yunnan – has stuck to the present day. 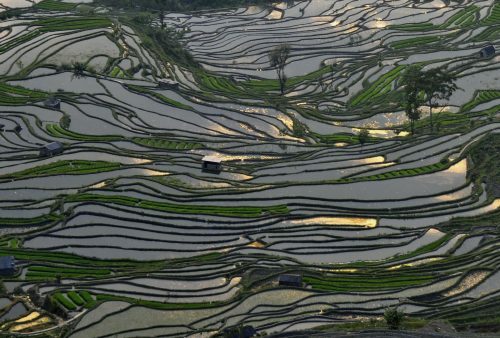 From here we make our way overland through Yunnan’s wonderful landscapes and historic sites; Jianshui, Lake Fuxian, Kunming with it’s surreal Stone Forest and Dali to the charming ancient town of Lijiang. 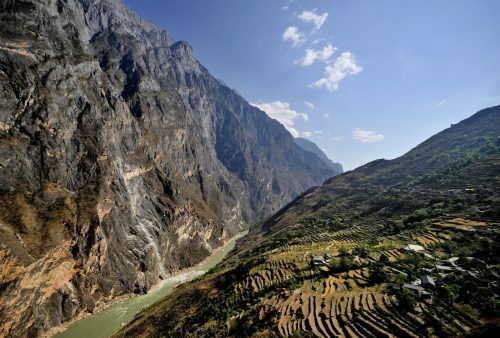 Our last leg takes us via the awe-inspiring Tiger Leaping Gorge to the town of Zhongdian, (now officially renamed Shangri La) on the eastern edge of the Tibetan Plateau. 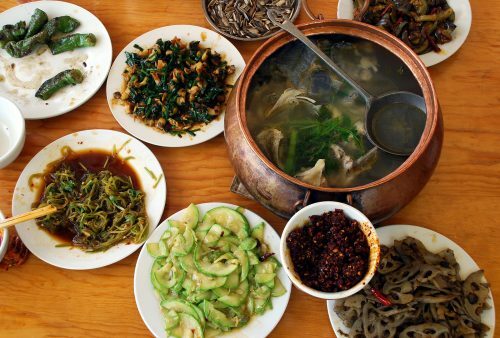 In addition to the famous sites, we’ll take in plenty of lesser-known destinations as well as local markets and street-life as well sampling the provinces varied and sumptuous cuisine and meeting the inhabitants of what’s acknowledged to be China’s friendliest region. Arrival in Hanoi and check-in to a downtown hotel. Afternoon free to relax or explore the city with perhaps an evening performance of the unusual water-puppets before a welcome local-style dinner introduces you to Vietnam’s celebrated cuisine. 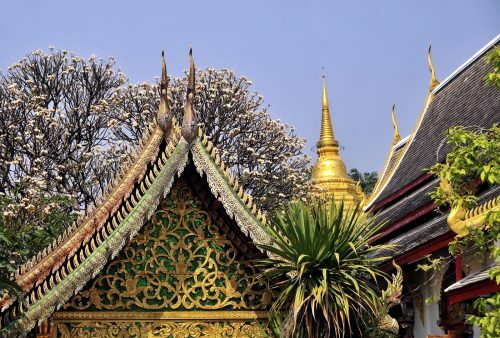 Day tour of some of the city’s sites, including Ho Chi Minh’s mausoleum, the 11th-century University, Hoan Kiem Lake and a walking tour of the narrow streets of Hanoi’s bustling old commercial quarter. Evening departure by sleeper train for Lao Cai in the far north. 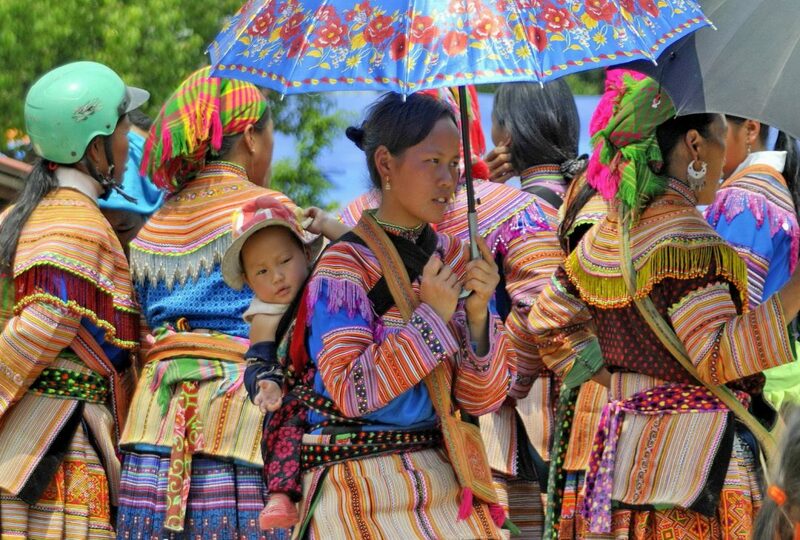 Morning arrival and drive to nearby Bac Ha to visit the spectacular Flower Hmong market. After lunch we’ll continue to Sapa, a picturesque old French hill-station overlooking a spectacular valley and lying in the shadow of the mist-shrouded Fansipan – at over 3,100 m the highest summit in mainland Southeast Asia. 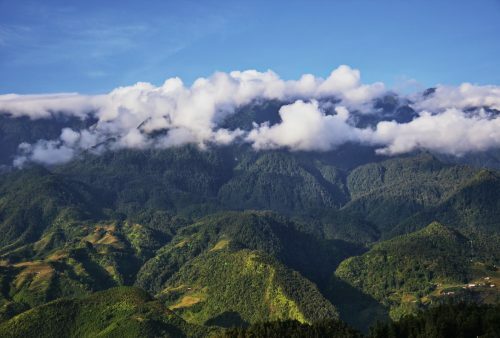 Morning hike through the area’s incredible scenery, known to the French as the Tonkinese Alps taking in Dzao and Hmong minority villages, picturesque rice terraces, bamboo forest and towering peaks. Afternoon at leisure to explore the town or roam its bustling market. 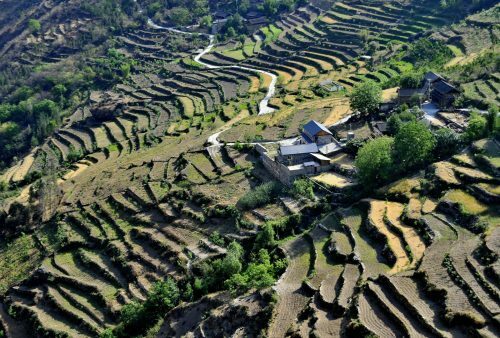 Crossing into China’s Yunnan Province at the town of Hekou, we’ll follow the scenic Red River Valley northwest into the Ailao Ranges and the small mountain-top town of Yuanyang. 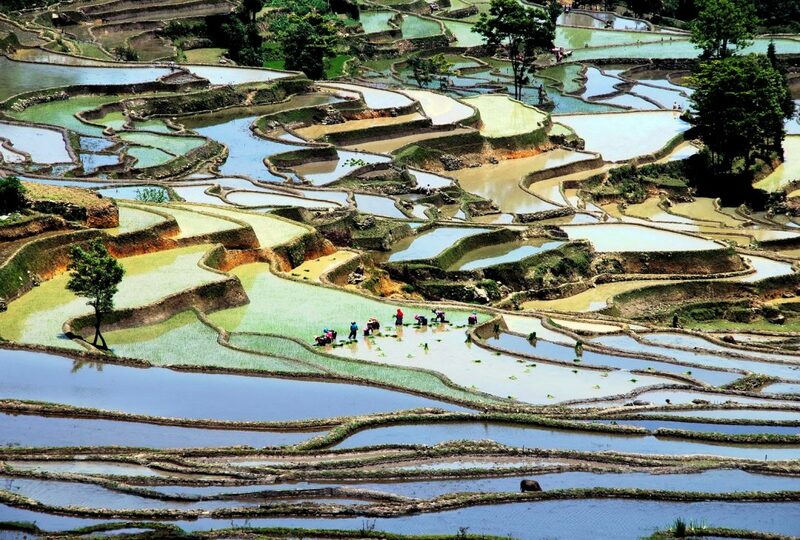 Afternoon visit to the region’s truly awe-inspiring and now UNESCO World Heritage, rice terraces – carved out of the mountainsides over thousands of years by the local Hani & Yi minorities. Optional sunrise trip to the fabulous terraces before checking-out the lively local market, a trading centre for myriad local minority peoples. 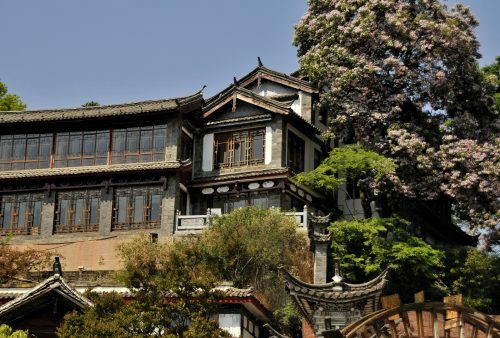 On to historic Jianshui to visit the 14th-Century Confucian Temple, the 2nd largest in China, and the amazing Zhu mansion, with its 42 courtyards & 250 rooms! 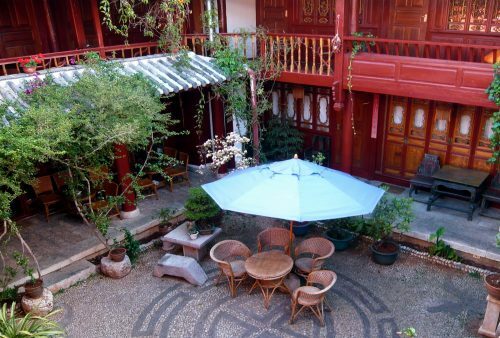 Overnight in a family-run hotel in the heart of the old town. Morning visit to the fascinating village of Tuanshan, one of the last remaining fortified villages in Southwest China. 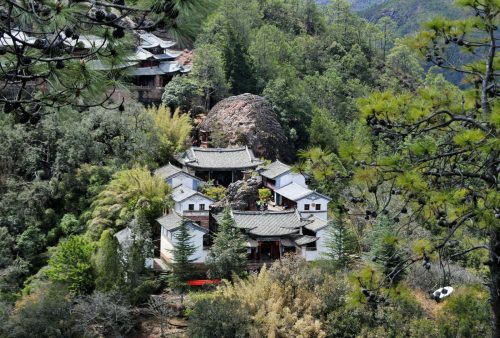 This village, originally founded during the Ming Dynasty, receives very few visitors despite being recently placed on the UNESCO Protected List. 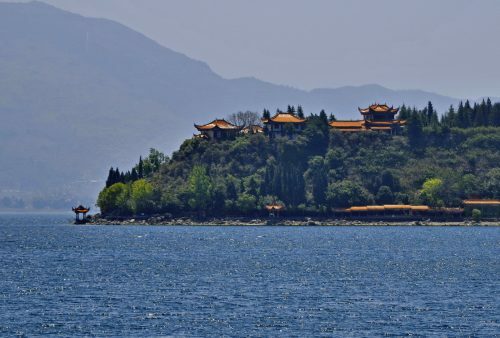 Leaving Jianshui we’ll continue north, via the superb Fuxian Lake, to the Province’s capital, Kunming. 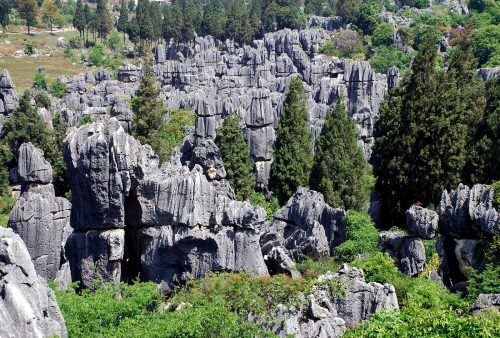 Morning trip to the spectacular karst formations known as the Stone Forest – another of Yunnan’s UNESCO’s World Heritage sites. 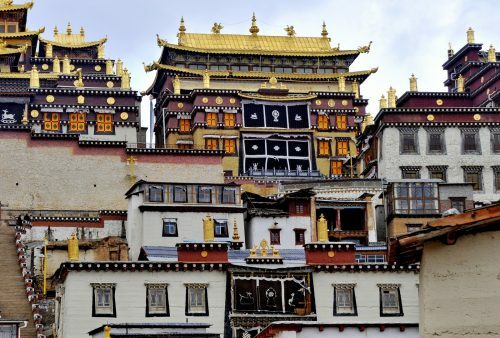 An afternoon at leisure in Kunming to discover some of the City’s pagodas, or perhaps the lively flea market and a stroll around the fantastic Green Lake Park? Old and the new today as we begin with a ride from Kunming to Dali on the famous ‘bullet train’. 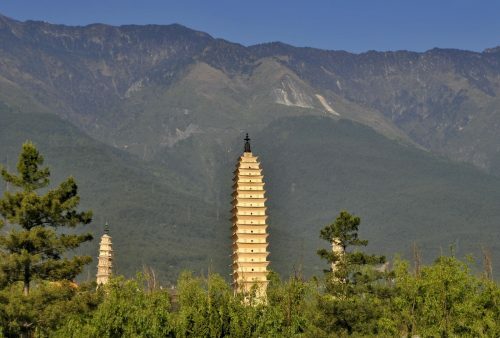 A tour of picturesque Weishan Town – one of the oldest and best-preserved towns in Yunnan, yet one of the least visited – before arriving at our day’s destination, the ancient walled city of Dali, ‘capital’ of the region’s colourful Bai minority. 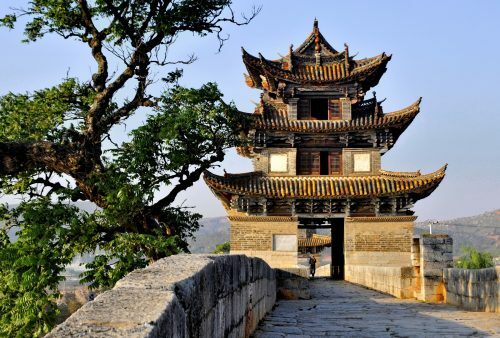 At leisure to explore this scenic old walled town, former capital of the powerful Nanzhao Kingdom, now centre for the ethnic Bai people – beautifully situated between the Azure Mountains and the shores of Lake Erhai. Explore the old streets, check-out the market or handicrafts, walk the city walls or take a cable car to a nearby mountain nature reserve? Early departure to catch the bustling morning market in the lakeside Bai village of Xizhou, before heading north with a spectacular drive to the superb temple grottoes of sacred Shibao Mountain. 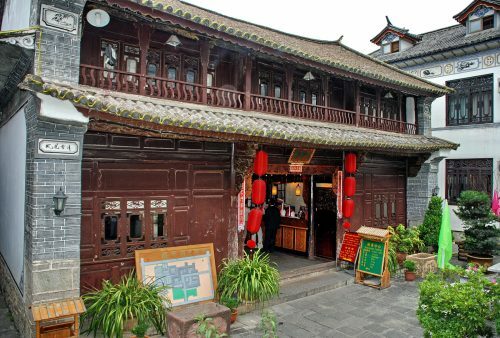 In the afternoon we’ll continue to the charming and beautifully preserved old town of Lijiang. 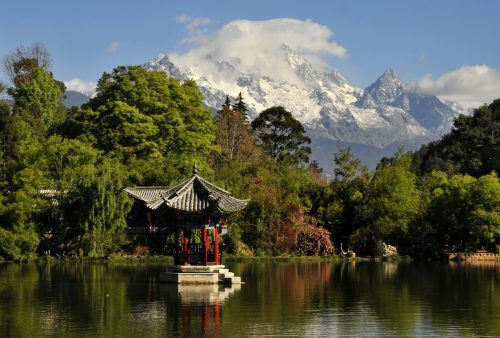 Discover the ancient centre of the Naxi Culture and now World Heritage site Lijiang, dramatically situated beneath the towering peaks of the 5,500m Jade Dragon Snow Mountain. 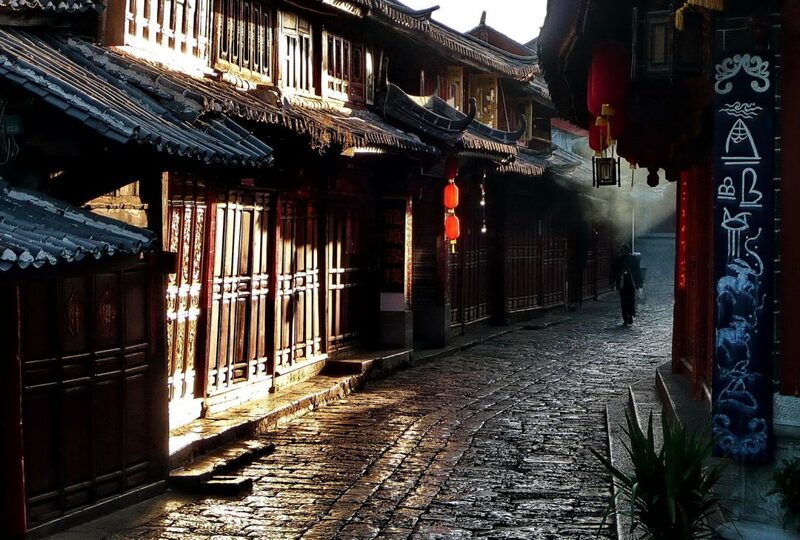 Wander the beautifully preserved cobbled streets that line the streams running through the picturesque old town and visit the scenic Black Dragon Pool Park. Morning visit to one of the outlying villages to discover more of the unique Naxi culture, before heading north towards the spectacular Tiger Leaping Gorge via the famous ‘First Bend in the Yangtze’. Our overnight stay will be at the friendly, family-run and stunningly situated Sean’s Guesthouse in the village of Walnut Grove in the centre of the Gorge itself. Day in Tiger Leaping Gorge. 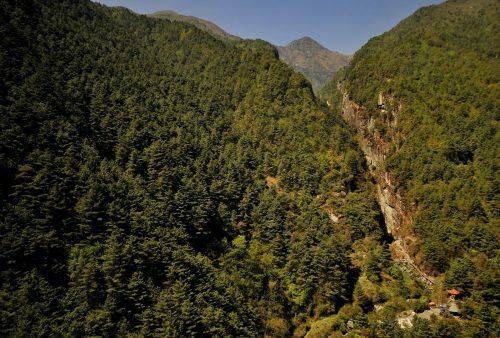 Options, depending upon fitness and inclination, include a day hike along the gorge, pony trekking, a walk around the scenic village and surroundings, or merely relaxing on the guesthouse terrace taking in the superb views. 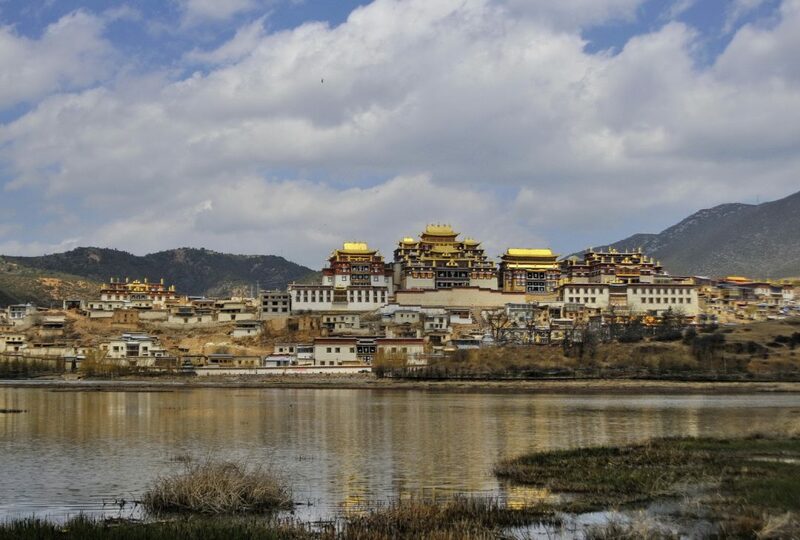 Scenic morning drive to the Baishui limestone terraces and on to the Tibetan Plateau and the town of Zhongdian – now officially renamed Shangri La. Lunch at a Tibetan family’s house followed by a visit to the spectacular monastery (Ganden Suntseling), with a short hike through the surrounding hills to check out the scenery and the local villages. Morning at leisure in Zhongdian and afternoon flight to Kunming International Airport. * End of tour. 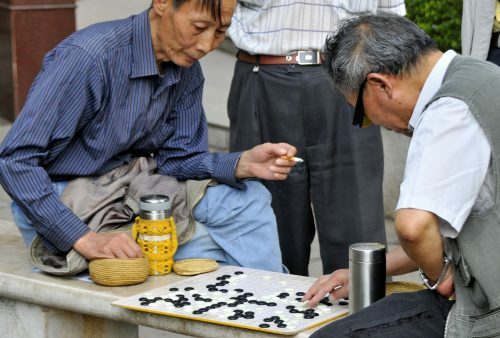 *There are several flights per day to Kunming departure can be scheduled according to any connecting flights. 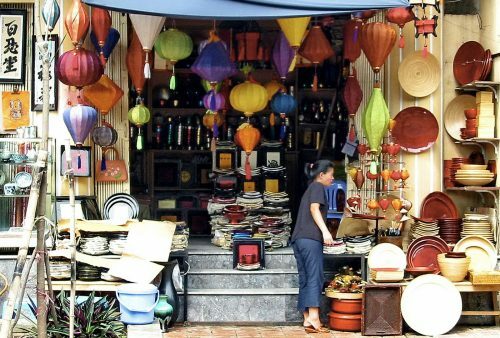 Extra nights in Hanoi prior to your tour or Kunming after your tour are available on request. Please note, we encounter high altitudes on the Tibetan Plateau, (up to 3,200m), but we’ll ascend gradually. Hmong chic at our favourite Sapa hotel, the Sunny Mountain. China: A visa must be obtained before arrival in China. Your entry point in Hekou on day 5 of the itinerary. 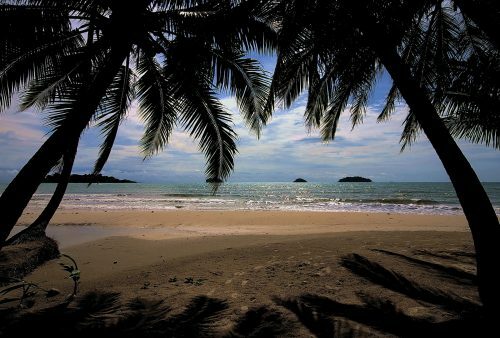 You will be arriving by road from Vietnam. 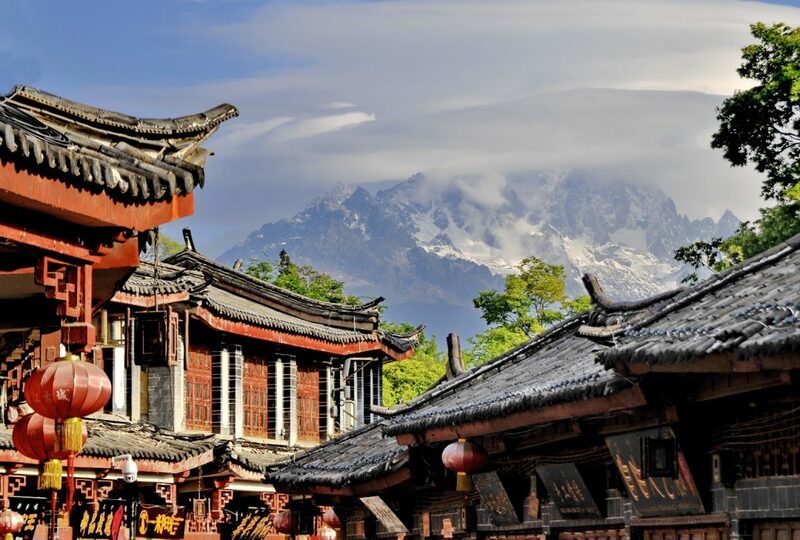 Your address in China is c/o China Panorama travel & Yunnan Panorama International Travel Service Co. Ltd..
" We always fancied seeing the “real” China and meeting some of the ethnic minorities, and so, “South of the Clouds” was just what we were looking for. 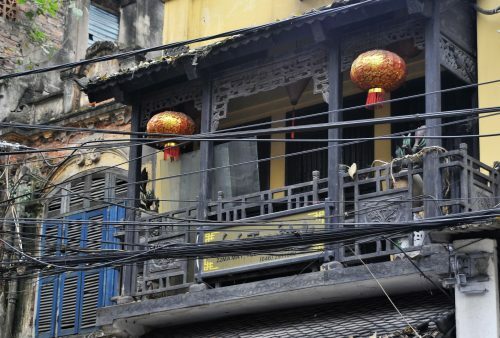 No one else seems to offer the cross-border experience from chaotic Hanoi. The overnight train north was surprisingly comfortable and left ample time to explore markets and meet the locals in Northern Vietnam. We visited a vast range of places from very small fortified villages with populations less than 100, modest towns, and vast cities like Kunming, so got a real feel for Chinese life. Hotels were generally modern with all the expected facilities, normally privately owned rather than corporate. 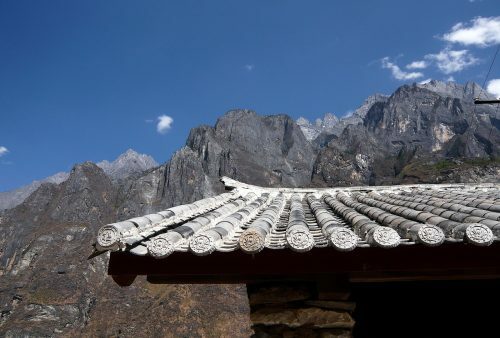 Sean’s Guest House in Tiger Leaping Gorge just took the prize (spectacular position) from the Lin An Inn in Juan Shui (courtyard). Local guides were knowledgeable with good English, led us to sites off the beaten track, and found restaurants at lunchtime and evening with local dishes. We had a couple of half days trekking - a welcome break from the road – and spectacular views in Tiger Leaping Gorge. This is the second time we have used All Points East – they come with a full recommendation. " " The extension to Halong Bay trip was excellent – the boat, food and accommodation were unbelievably good. For the main tour, local guides were excellent without exception. 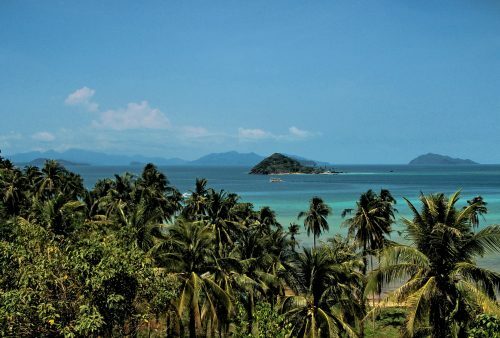 Food was terrific, and we had a great very varied itinerary.
" 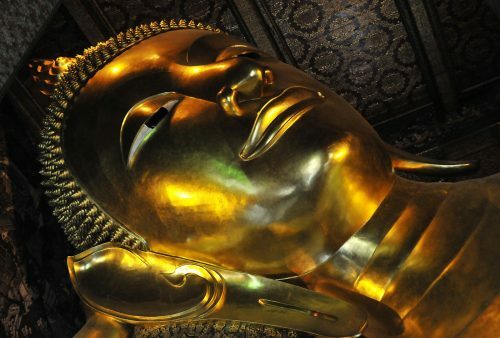 Many thanks for another great ALL POINTS EAST trip – this time to North Vietnam and Yunnan. I thoroughly enjoyed the holiday – Mark was an excellent tour leader – his enthusiasm for photography meant that we photographic addicts were well catered for. I have no hesitation in continuing to promote APE in my forthcoming photo talks. "